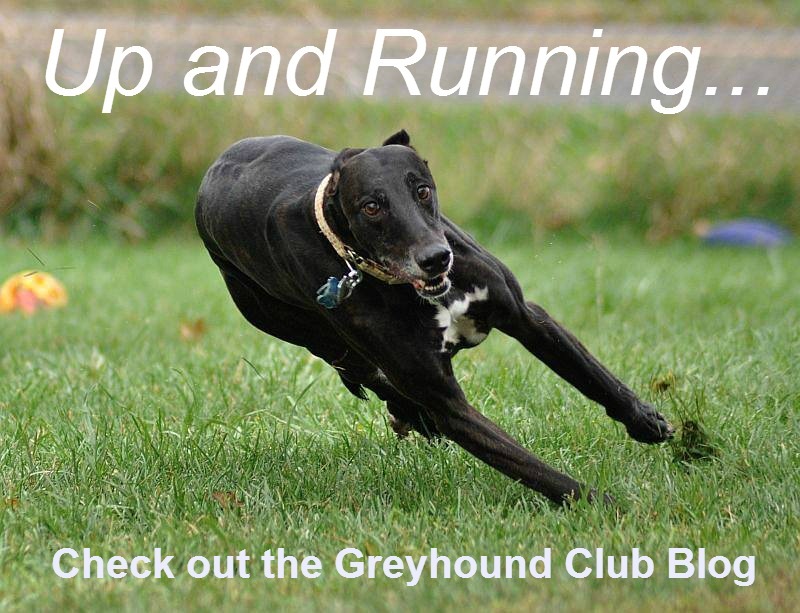 The Greyhound Club of America is the national breed club for Greyhounds within the American Kennel Club. 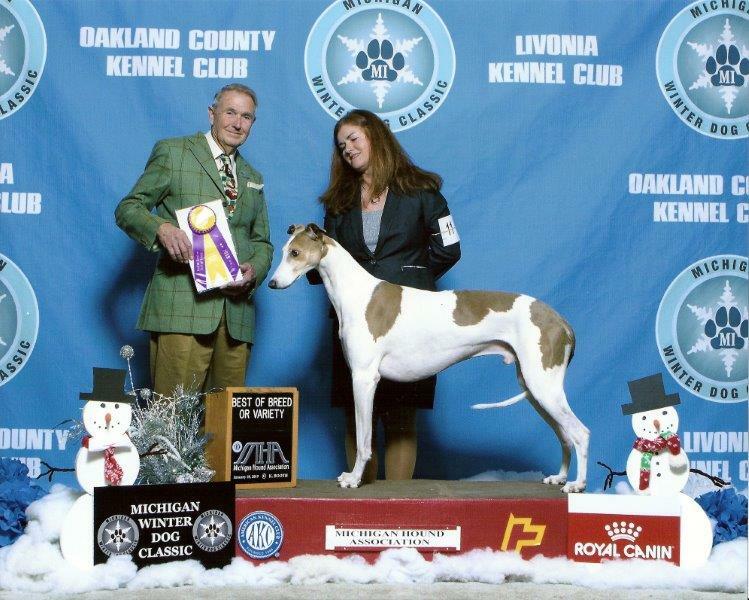 The GCA promotes responsible breeding of Greyhounds as well as training and showing in a variety of venues. 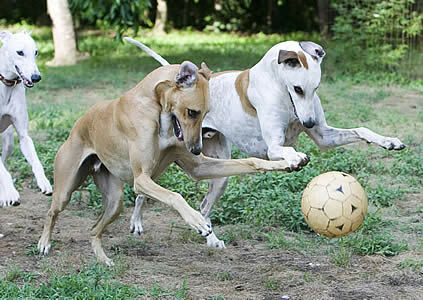 Here you can learn about our breed, about their accomplishments, about our club, and much more. In Spring 2018 GCA's new Versatility and Multitalented Award program was first announced. 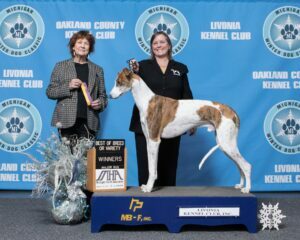 The first award earned was a VGC (Versatile Greyhound, Conformation Track) award by Linda Zucker's Ch Lakilanni School's Out SC RI TKN CGC. Kingsley earned a VCG2 on the basis of his AKC Championship, his ASFA Field Championship, and his Advanced Nosework title with UKC. Click here to see more award winners and for more information on the program. Please view the requirements for a proposal here. Contact Bobby Paust at bob.gca2@yahoo.com if you need assistance or more information. PLUS free shipping in the U.S. 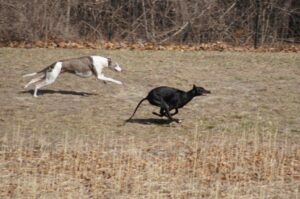 Interested in a Greyhound puppy? AKC greyhound breeders are a small group and it is not unusual to have to go outside your area for a puppy. That means building a relationship over the phone with the breeder and through networking with others who may have bought a puppy from this breeder previously. The breeder should be happy to supply you with those contacts. 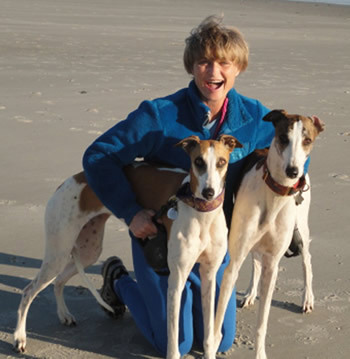 Visit our Memorial Page to see tributes to Greyhounds that have passed. 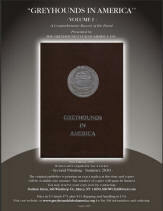 NOTE: A limited number of catalogs will be available for purchase on-site, see entry form for per-order information. If you would like to sponsor and pay through PayPal, click the appropriate button below. We hope you will all consider donating to this event and thank you in advance for your generosity. The Host Hotel is Ramada Inn Flemington. There is a GCA block at $85 per night. Call 908-782-7472 for a reservation. Their website is HERE. This hotel is not the best but it is the only one that would give us a block with dogs. Our old hotel, now the Clarion Inn, in New Hope does not allow dogs over 50 pounds at this point. There are other hotels listed on the premium list. Join us for a Joint Sighthound Buffet Dinner & LIVE Auction Saturday Evening after the Hound Group at Bucks County Kennel Club. Fun, Historic, exciting, and eclectic items, and camaraderie! Price is $40.00 per night via PayPal or $45.00 per night via check to Harry Miller if paid in advance. Price for 3 nights is $100.00/PayPal or $120.00 via advance sale only. Use form found in Bucks County K.C. premium list or lure coursing premium list if mailing payment. for their Best in Specialty win! 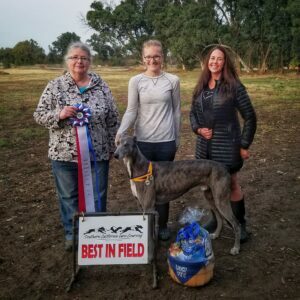 Arrow also won Best Owner Handler. for their Specialty Best in Sweepstakes win! Spice also placed 4th in the Hound Group Sweepstakes! for their Best in Field win! for their Best of Breed win! 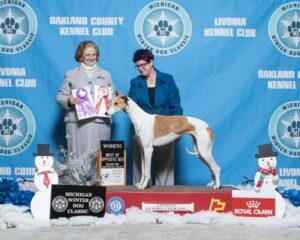 Tango also placed 2nd in the Hound Group! for their Best in Sweepstakes win! for their Specialty Best in Veteran Sweepstakes win! for their Specialty Best Owner Handler win! D'Angelo also placed 3rd in the Owner Handler group! 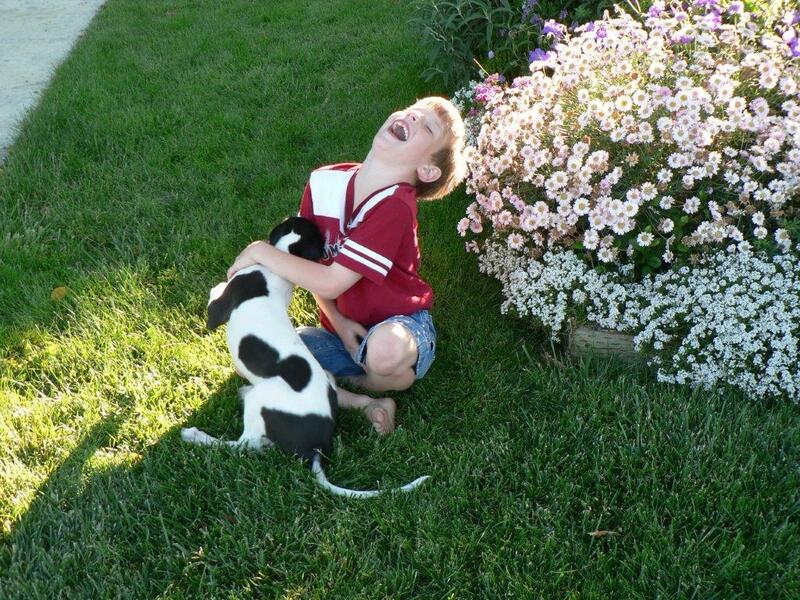 for their Specialty Best Puppy win! Emil also placed 3rd in the Hound Group! Runa and Olga also won Puppy Best in Show at the Gateway Hound Club! Belle also placed 4th in the Owner Handler group! for their Specialty Best in Field Lure coursing win! Bayou was also the High Scoring Dual Champion and High Scoring Bench Champion! for their Specialty LGRA (Large Gazehound Racing Association) win!